Advanced Alarm & Lock Co.
1829 Old Clear Creek Rd. About Advanced Alarm & Lock Co. Nothing is more important than your safety. 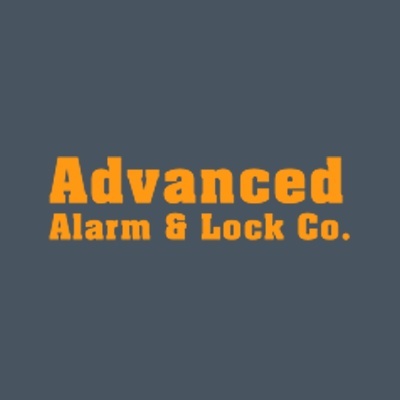 At Advanced Alarm & Lock Co., we offer locksmith services and security systems to homeowners and business owners alike.We're so much more than alarm systems and locks. If you're looking to add a home theater for your enjoyment, install a safe for your belongings, or even put in a central vacuum system, we can help!When you want to feel safe and secure, call Advanced Alarm & Lock Co. to install a complete premises security system, covering all indoor and outdoor areas. Have you ever wanted to keep an eye on what's happening outside your house without having to pull aside the curtains and peek out the window? Let us install a video surveillance system so you can always see any outside activity from the safety of the indoors, instead of venturing outside to investigate a suspicious noise.For added security at your place of business, let Advanced Alarm & Lock Co. install electronic, keyless locks with card readers so only your employees can gain access. Sometimes your building may require more than just the standard lock, especially if you're dealing with sensitive information. If you're looking to keep your valuables safe in your home or business, call Advanced Alarm & Lock Co. We have a wide variety of safes specific to your needs. Having your possessions locked safely away allows for a great sense of security, but if your safe or vault won't open or needs to be repaired, it can lead to problems. At Advanced Alarm & Lock Co., we have the knowledge and skills necessary to change combinations, repair dials and safe locks, and fix digital entry systems.Make vacuuming easy and add value to your home by having us install a central vacuum system. Dirt goes into a central canister which only needs to be emptied once every 3 months. We'll install inlets in your walls connected to a central power unit, which is comprised of tubing we run through your attic, basement, or cold air returns. on-call 24 hours a day, 7 days a week.